The Healthy Menu Options Program is now available, here in the City of Armadale. The program recognises food businesses within the City who provide healthy options to the community. Each Healthy Menu Option can be identified by the Healthy Menu Options Logo. This logo means a menu item has been assessed by a health professional against a criterion which considers the menu item to be high in dietary fibre, low in salt and low in saturated fats. Participating food businesses also promote healthy options by making free tap water available to patrons, displaying Healthy Menu Options at the forefront, having healthier drink options for sale, and the food business will comply with the requirements of the Food Act 2008 to a satisfactory standard. 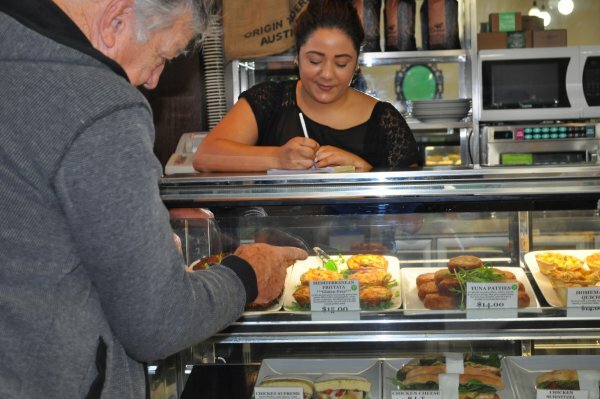 If you are a food business that would like to participate in the Healthy Menu Options program, or if you would like more information about the program, contact the City of Armadale’s Health and Wellbeing Officer. “We’re excited about joining the Healthy Menu Options Program. Everyone can identify the healthy choices on our already appetising menu, thanks to the new and easy to read labels” – Café Me business owner. “I’m happy to be a part of this program to help people make healthy choices” – River Road Deli business owner. "We here at Affinity Cafe believe our customers can make more informed and balanced choices through the help of the Healthy Menu Options program. It is a great initiative and we are thrilled to be able to support healthy eating in our local community!" - Affinity Cafe manager.